MF5455 tractors specification. 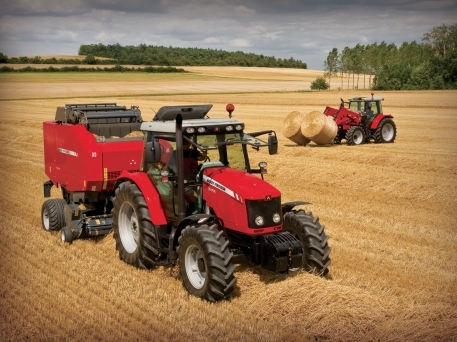 The MF5455 tractor model launched in 2003 has undergone several specification changes since its launch. Main specification options from the outset included either a 'steep nose' or standard square nose bonnet version of the MF5455. Visio roof was a high specification option which when combined with the 'steep nose' high visibility bonnet, made the MF5455 the ultimate loader tractor. Initially available with a mechnical dry clutch, from 2006 and the introduction of the standard Dyna-4 transmission, power-shuttle was standard. Find out details below on the model history. Massey Ferguson 5455 tractor was launched in 2003 replacing the MF4355 100hp 4 cylinder tractor. 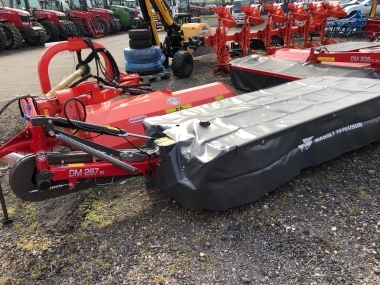 Major improvements over the previous model included a significantly increased rear linkage lift capacity (up to 6,000kg with the 'high lift' option, 5,000kg as standard), which was controlled by the well proven Massey Ferguson electronic linkage control system, giving excellent draft sensitivity. 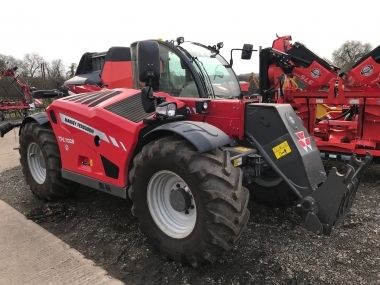 Along with improved styling, the operator was well catered for, with industry leading low noise levels in the cab, and well placed ergonomic controls. 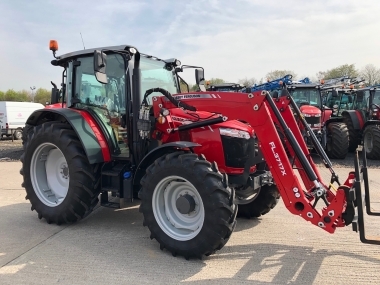 The majority of the MF5455 tractors were specified with the Power Control, multiplate wet clutch, giving clutchless forward and reverse direction change; although a more simple dry plate mechanical clutch was still available while the Speed-shift transmission could be chosen. 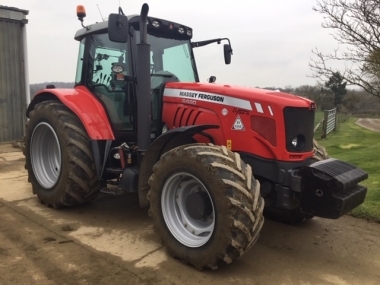 The Massey Ferguson 5455 tractor was a great sucess becoming the best selling loader tractor in the UK. During the MF 5455 model life the tractor has undergone a number of changes in specification, with increases in specification, and also hp. The MF5455 started out at 100 hp (415 Nm of torque), and has increased now in the latest versions to be produced to 112 hp (463 Nm of torque), with further boost to 125 hp (and 525 Nm of torque). Transmission was initially a 16/16 Speed-shift gearbox, with a four speed synchromesh gearbox, two ranges ('hare' and 'tortoise') and a single change on the move (splitter gear). 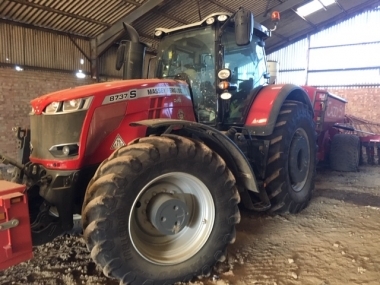 This was upgraded on the release of the Dyna-4 transmission, still with 16/16 forward and reverse gears, but now including 4 full powershift changes on the move - a popular feature on the larger Dynashift 32/32 transmissions fitted to the bigger brother MF6200 range and MF6400 range of tractors. The MF 5455 could be specified either with a standard 'square nose' bonnet, or with the more common 'steep nose' high visibility bonnet. 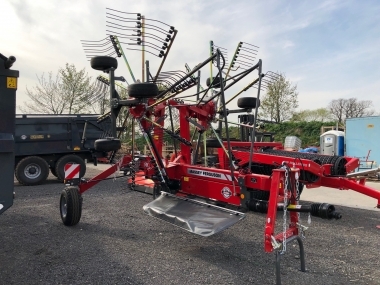 This made operator visibility excellent from the tractor seat, whether fitted with a front end loader, or front linkage, both available as factory fitted options. Typical specification chosen often included the option of a Dromone hydraulic extending high visibility pickup hitch. 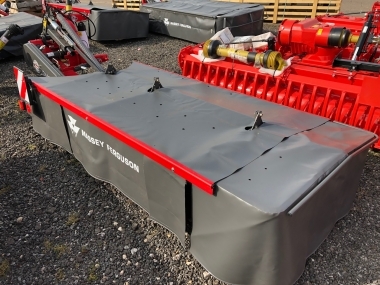 On the latest versions of the Massey Ferguson 5455 tractor, mechanical cab suspension has been a popular option, along with the integrated front linkage, matching the specificaition available on the larger Massey Ferguson tractors. buy every original 5455 part online. 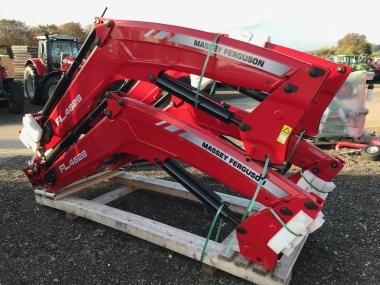 I think the best tractor Massey-Ferguson ever made! 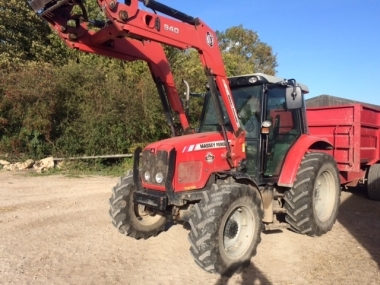 Fantastic loader tractor,100l pump ensures super fast cycles when loading spreaders.